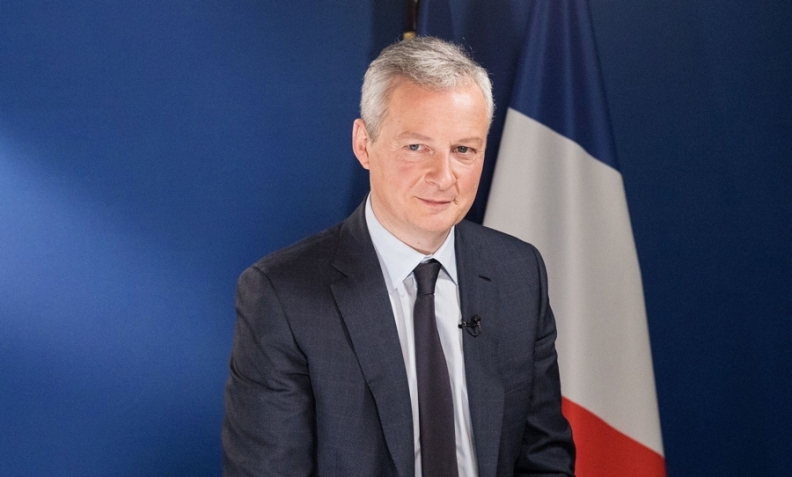 French Finance Minister Bruno Le Maire said last week the government wants to automotive companies "manage the transformation toward gasoline, hybrids and electrification." PARIS -- The French government has a message for automakers and suppliers who are grappling with the swift decline of diesel sales: "We are here to help." Finance Minister Bruno Le Maire will meet with industry leaders in early April to discuss ways to save the 12,000 French jobs related to diesel engines and components. Speaking during a tour of PSA Group's factory in Mulhouse, France, last week with PSA CEO Carlos Tavares, Le Maire said the government sought to "help large companies such as PSA manage the transformation toward gasoline, hybrids and electrification," Agence-France Press reported. Last autumn Le Maire announced the creation of a working group to address the diesel issue, even as he said that taxes on diesel fuel would be raised by 3 cents per liter, with the aim of reaching parity with gasoline taxes. Sales of diesel-powered cars fell 7.9 percent across Europe last year, according to JATO Dynamics. Car buyers have been turning away from diesels in the wake of the Volkswagen Group emissions-cheating scandal, the rising costs of meeting ever-tougher pollution controls and local regulations that prohibit some diesels from urban centers. Diesel's market share in France has fallen to 47 percent in 2017 from 73 percent in 2012. Automakers are adapting to the shift in different ways. PSA is importing more than 100,000 small gasoline engines from its Chinese production facilities as a stopgap measure while it converts engine production to gasoline from diesel in Europe. Renault has ramped up gasoline engine production in Spain. Fiat Chrysler Automobiles will stop offering diesels in its passenger cars starting in 2022, according to a report, while Volvo says it will not develop another new diesel powertrain. Suppliers are also struggling to adapt. Declining diesel sales have clouded the future of about 1,600 workers in Robert Bosch's factory in Rodez, France, which makes diesel injectors. Le Maire met with Bosch Chairman Volkmar Denner in late January to encourage the supplier to diversify the plant and invest heavily to save one of two production lines. In a statement, Le Maire said, "The government will lend its full support to the Bosch Group and staff to work with this transition, to identify future business activities and prioritize their location at Rodez." Other French supplier factories at risk include a Delphi injector plant in Blois and a Honeywell Garrett turbocharger site in eastern France.